See the various remnants of doorways used through the many centuries? There are several different sizes. 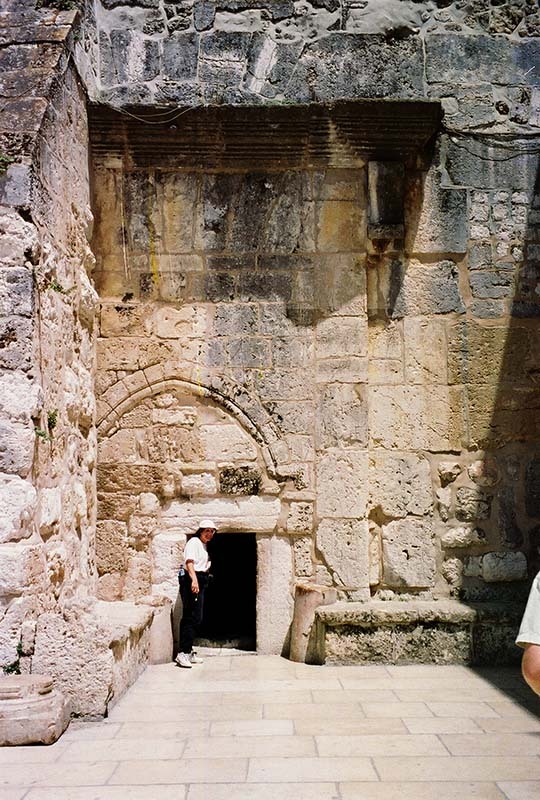 The smallest doorway was installed to keep out invaders who attacked on horses and camels. This is an advantage for us, because as pilgrims we have to humble ourselves to enter, bowing low ~ an appropriate posture for focusing on the birth of our Savior! In the same frame of mind, join Nancy now and click on the doorway.